I've recently begun regressing. It's a worry. I've graduated University, got a proppa job, started paying council tax and have even considered life insurance. However, I have also booked a holiday to Disney World, started wearing graphic T-shirts straight out of Big Bang Theory (when no one is looking) and recently spent a few hours in the new Lego store at Manchester Arndale, playing with lego bricks. I have always been the level-headed, Mr. Organiser, the one who mums and dads used to say "he is old headed". Yet, upon stepping into formal adult-dom I've become a big fat child. Nothing is as good an example of this than my recent trip to the Lego store at Manchester Arndale. I had had the review booked for a while but post-Manchester Evening News Diary Party hangovers and Vet's visits somewhat prevented my trip to the new store. However, I finally made it, met the lovely Manager Heather and began my tour. "We prefer to consider the store an experience rather than a shop," says Heather, a scouser who has recently relocated to leafy Chorlton to run Lego's ninth UK stand-alone store, "it's such a unique toy, it caters for all ages." Me, sat at my desk, wearing oh-so on trend English heritage. Ah, so I'm not alone in my regressive stance as adult-turned-child? Apparently not, just before my meeting with Heather, she had been ordering a shed-load of bricks for a gentleman who was building a city! 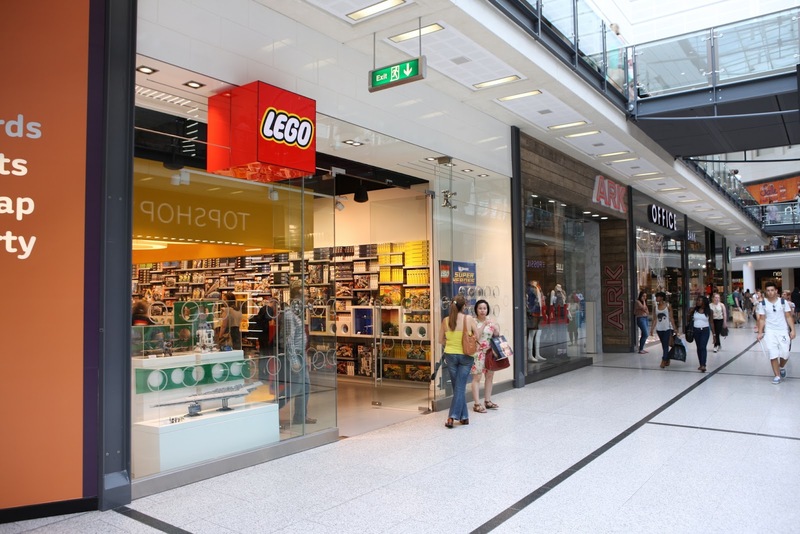 There is also an elderly couple who shop at the Manchester Arndale store who have a who room dedicated to Lego, with a Lego train running through it! 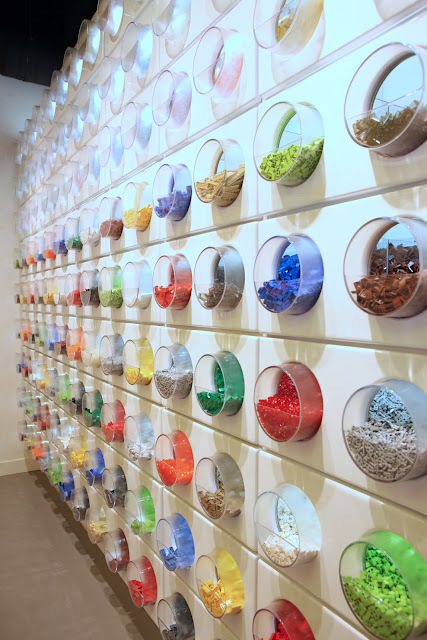 I was getting heart palpitations at the thought, I once had a whole bedroom dedicated to Knex (do you remember Knex?) I had Knex Ferris wheels, roller-coasters, cranes. It is, truly, my most macho memory. 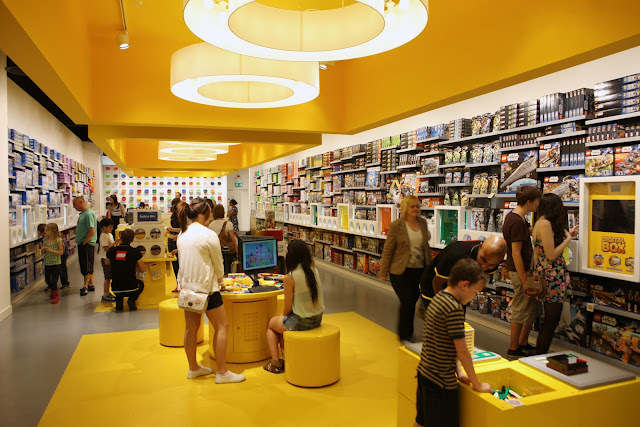 So the store is about play, there are digital play stations, building play stations, interactive areas, a pick-a-brick wall and play sets piled floor to ceiling, the full length of the store. 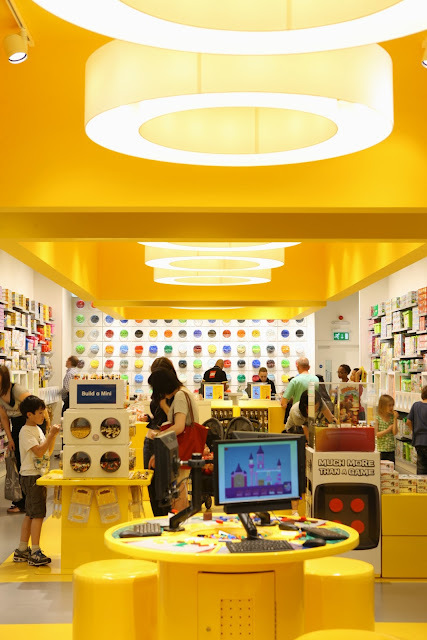 What was nice to see was that mums, dads, kids, grannies, grandads and couples without kids were all having a giggle, making their Lego alter-egos and sampling the toys and creations on display. I think of this philosophy when explaining mine and Adam's recent Disney World holiday booking to less than convinced friends and acquaintances. They wonder why two 'adults' want to go to a holiday destination built for children. I just reply, you're never to old for Disney. I think the same is true for Lego. The not-so child-like Saratoga Springs Spa resort Adam and I are staying in next October. After our tour and talk Heather gave me an empty carton and said, "this is our pick-a-brick wall, it's like pick-and-mix, only for Lego. Go, treat yourself." I all but galloped to the wall, kicking a pram and elbowing a 5 year old in the face to get there. I may have been the "old headed" child but the parents also remarked on my profound inability to share.